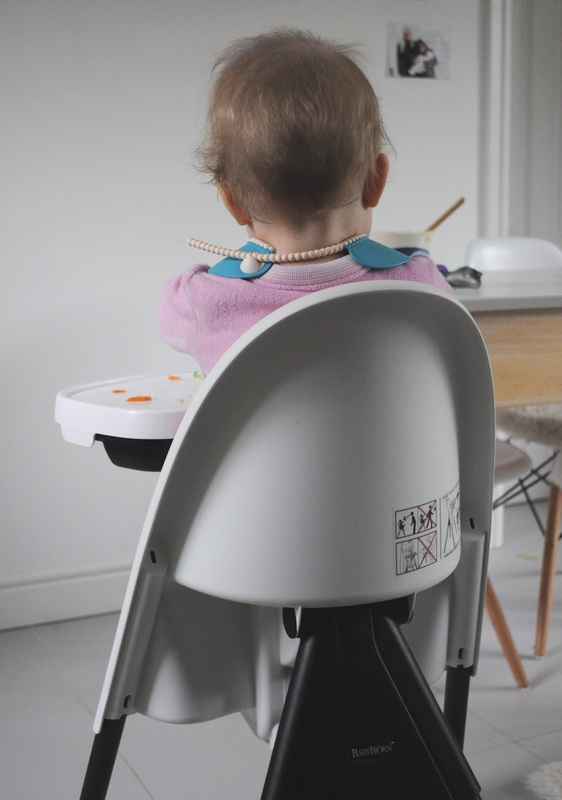 In truth, I left it so long to write a review on this high chair because I wanted to be balanced, I wanted to weigh up the good and bad but I genuinely can't fault it. We've been using it for five months, since she was six months old and we still remark on how good it is. Often with baby products, you have to weigh up style with practicality. The Babybjörn high chair nails both. 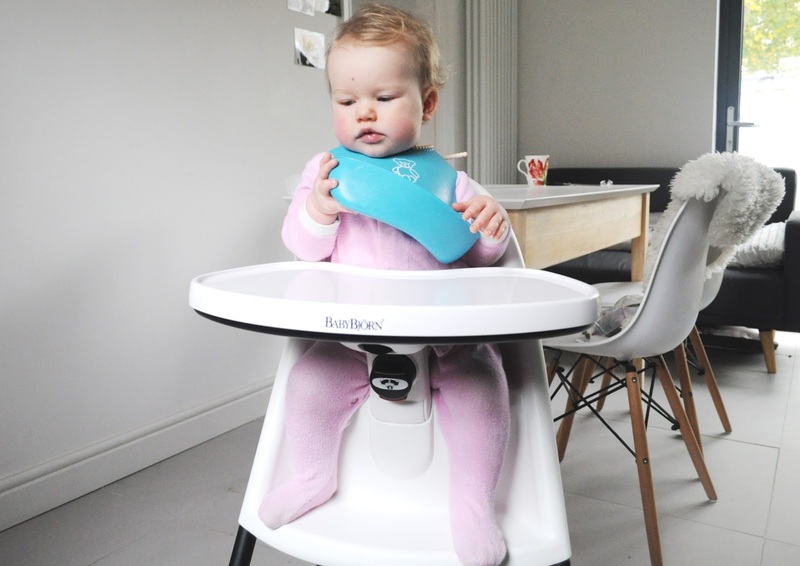 The design is stylish, clever and practical, it takes the stress out of mealtimes. 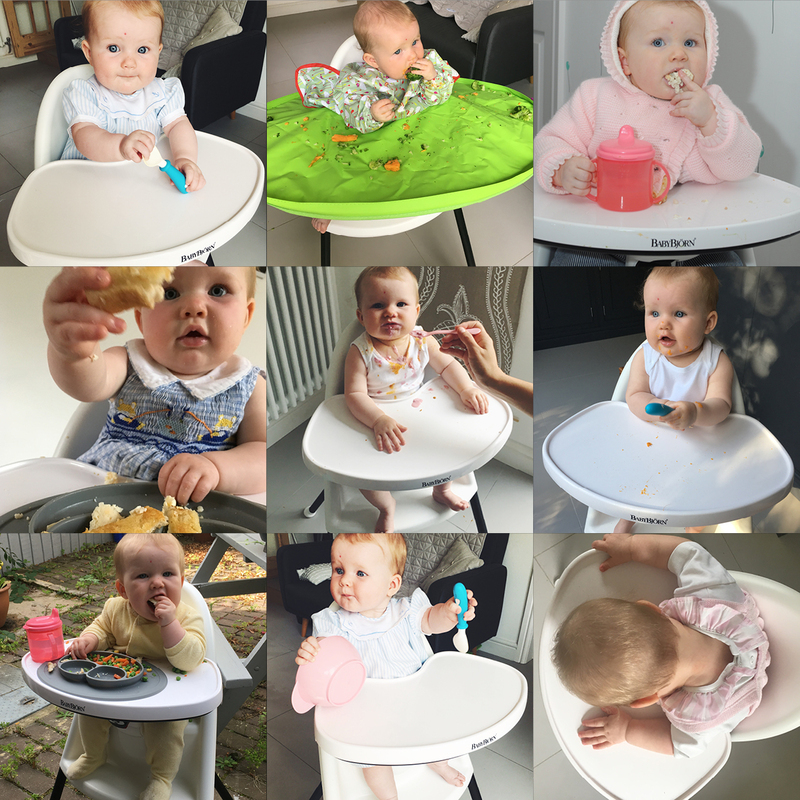 I just asked Tom what he loves about the high chair and he said 'just think about when you have to use another high chair, it's an ordeal, it's a faff, with this one there's no trying to fit legs through holes, finding clips while the baby gets more and more furious'. It's true, I'd much rather feed her at home because I know that it will be less messy and she'll eat without the distraction of an escape mission. Because it's impossible for her to break free. For me, the security is the most important thing. You flip the table down with a one-handed twist of the lock underneath, pop the baby onto the seat and flip the tray back up. The two stage lock is childproof so once she's in only you can release her. 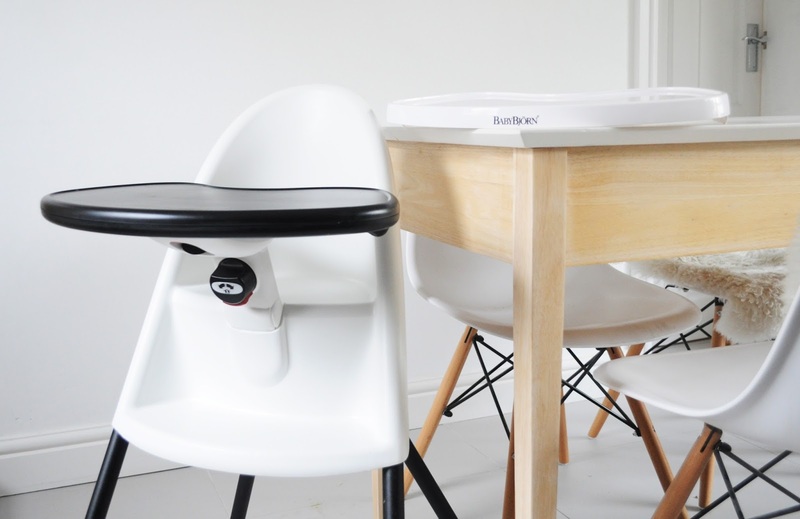 The table sits snug to her, and it's adjustable as she grows (up to three years old). It means that when she's feeding herself, food doesn't end up falling down between the tray and her body. This keeps her cleaner which is great, but also means that more food makes it into her mouth. The curved back keeps her upright and central and her feet have somewhere to rest which means she's very comfortable in there. She sometimes sits in her high chair for a full hour watching TV (don't judge me) while I top her up with baby tapas (whatever I can find in the fridge). It means that I can mop the floor around her or get some ironing done while I watch her watching CBeebies. 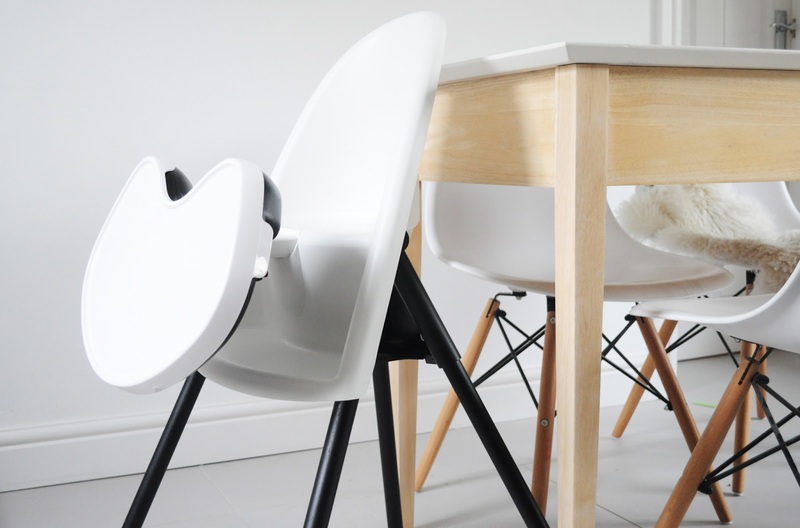 Visually it looks smart in simple black and white, and sits seamlessly in our kitchen alongside our (faux) Eames chairs. The design is pretty compact, the black metal legs are removable which means it's easy to put in the car to take her to friends for dinner, they slot in simply with a metal pin which pings through and remind me of building a false christmas tree. Any downsides? Nope! 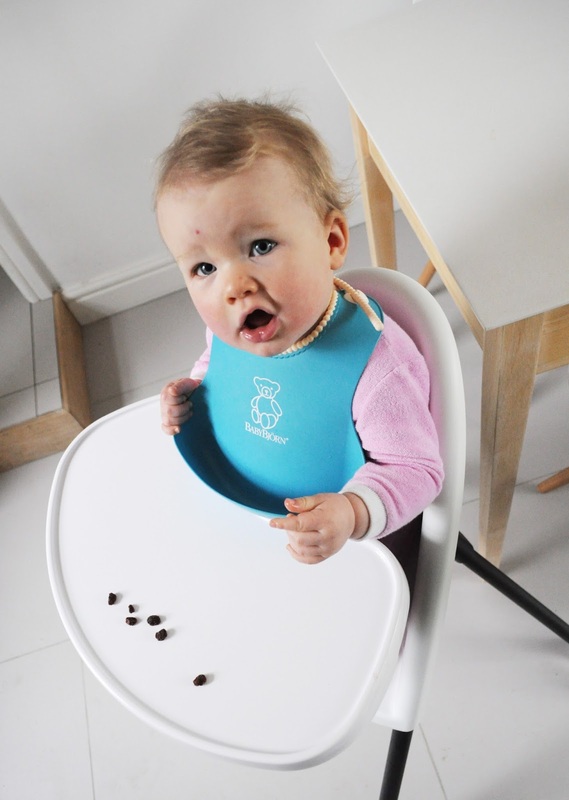 But a couple of warnings, hold on to the baby as you release the table, it's very simple but there is a slight knack to it and don't use a scourer sponge on the tray because it does scratch slightly. 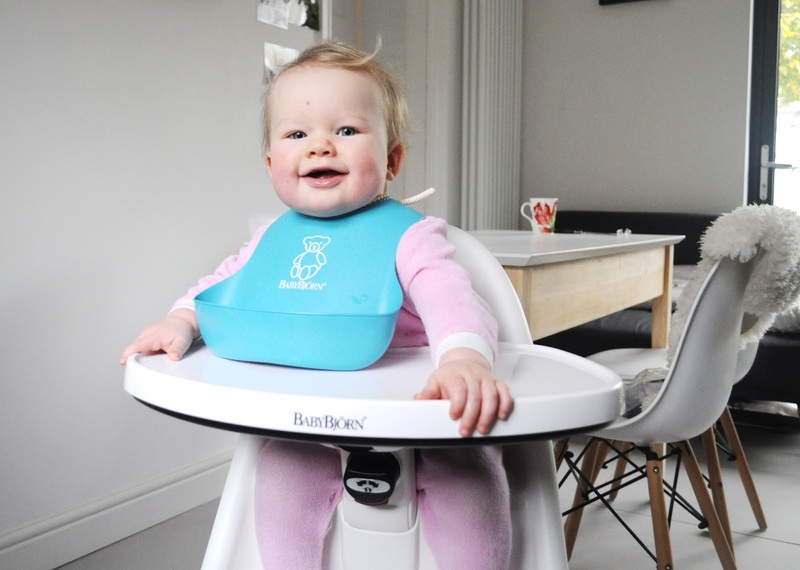 We love this high chair, it's definitely been tested to the max in our house and has passed with flying colours! 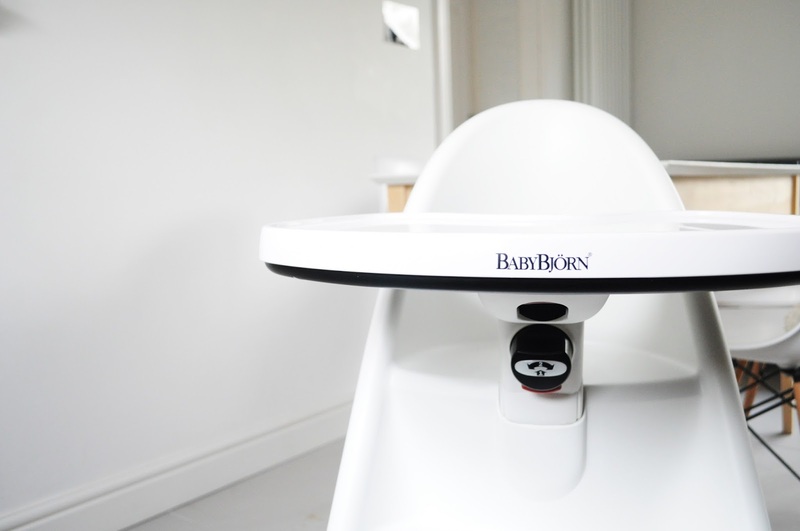 Find out more about the Babybjörn high chair here.